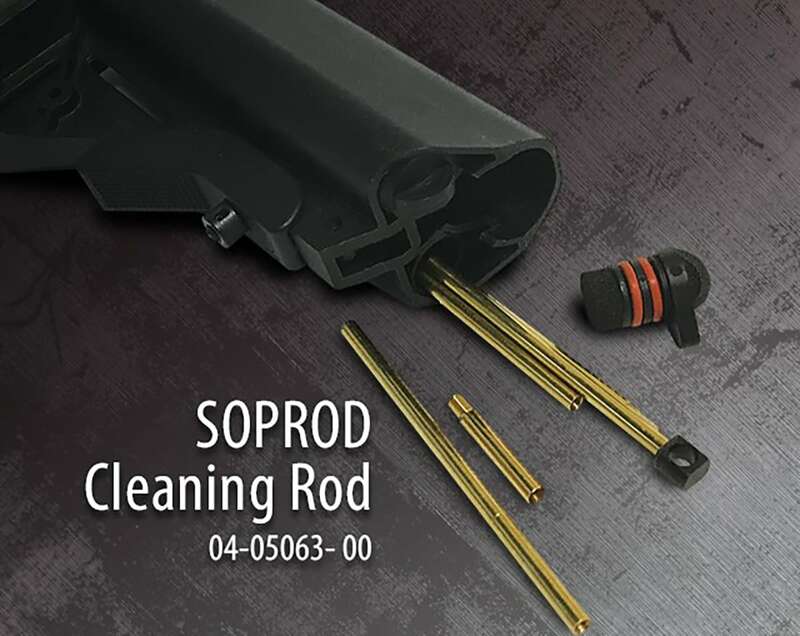 Samson Manufacturing adds to its mounting inventory of accessories, introducing the new SOPROD Cleaning Rod accessory that tucks into stocks equipped with battery compartments. 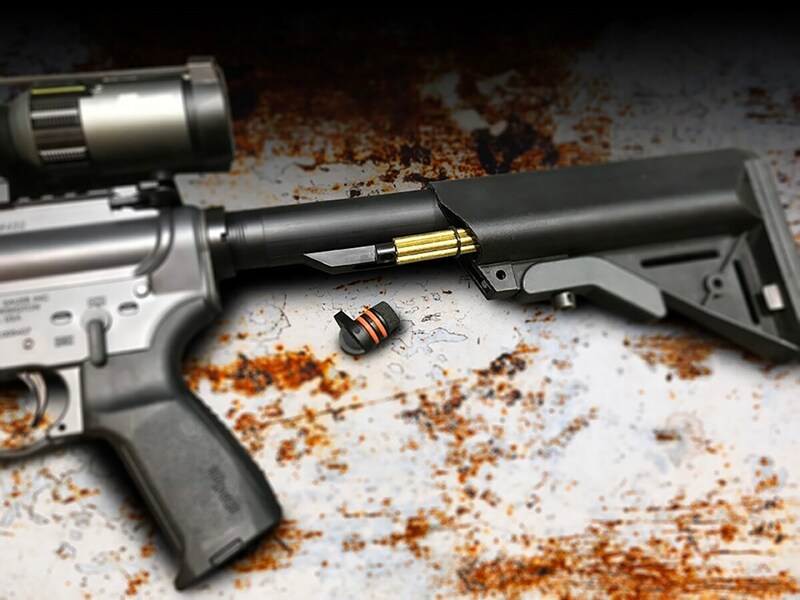 The solid brass or stainless steel SOPROD fits neatly into all battery-compartment style, adjustable stocks granting rifle shooters that ability to clear stuck cases or other obstructions quickly and with ease. The SOPROD sports extensions that allow it to tackle up to a 20-inch barrel. The cleaning rod ships with two self-adhesive rubber O-rings. The O-rings hold the rod sections together while also introducing a rattle-free design. Though the SOPROD is a stand-alone accessory, it can pair with the company’s SOPROD Field Survivor tool. 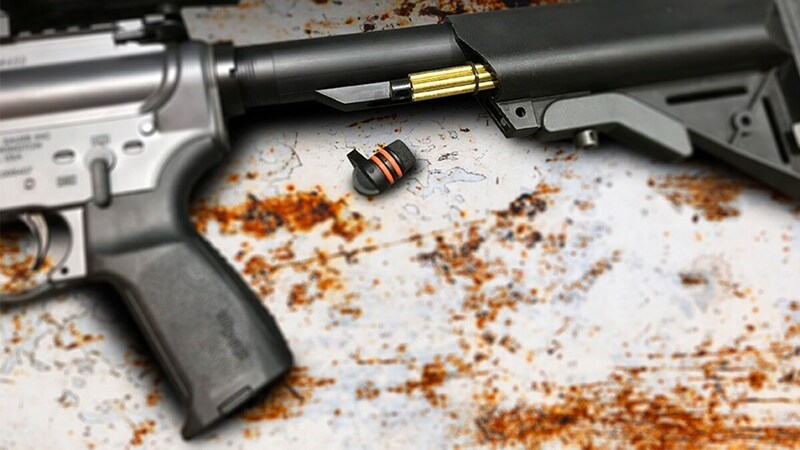 The tool fits into the negative space of a standard A2 pistol grip or Magpul MIAD. The SOPROD Field-Survivor offers a male-threaded adapter that works as a handle for the SOPROD itself. The kit includes a broken shell extractor, bore brush, sight adjustment tool and two spare M4 firing pin retainers held in a separate compartment. The SOPROD also boasts an available accessory kit increasing the tools to include a rotating-head and a thread adapter. The rotating-head works alongside standard GI bore and chamber brushes. The brass SOPROD retails for $24.95 while its stainless steel counterpart comes in at $22.95.